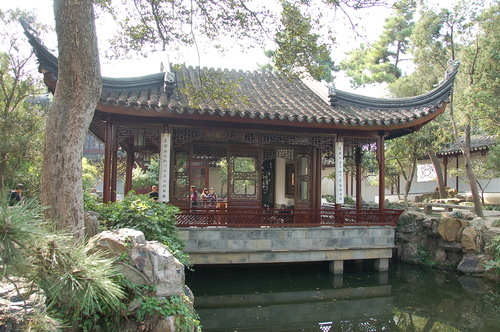 Couple's Retreat Garden located in Suzhou city, Jiangsu province, China is a famous classical Chinese garden. 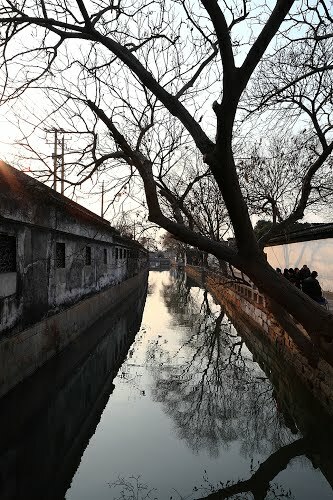 It is recognized with other classical Suzhou gardens as a UNESCO World Heritage Site. 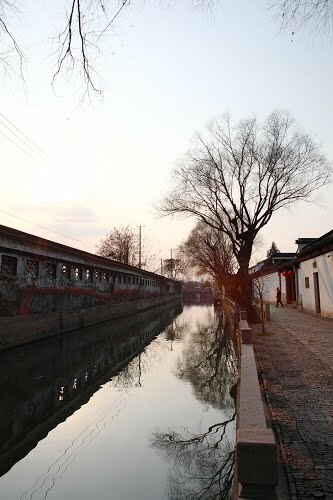 The original garden was built by Lu Jin, prefect of Baoning district, in 1874. It was purchased by Shen Bingcheng, the magistrate of Susong. who rebuilt it in its current form. He also changed the name to the Couple's Garden Retreat. This name refers to the garden's two parts and alludes to a couple. 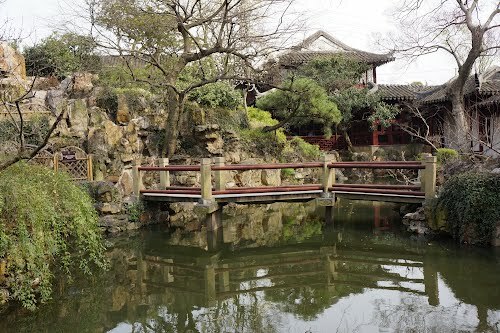 It is recognized with other classical Suzhou gardens as a UNESCO World Heritage Site. The 0.33 ha garden is divided into an east and west section by the residential core in the middle; an unusual composition for a classical garden. The eccentric design is continued in the form and details of many of the garden buildings, especially the Taoism Tower. 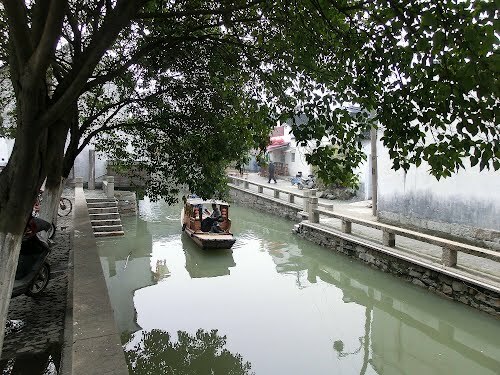 The garden is located in the intersection of canals and is surrounded by water on three sides. 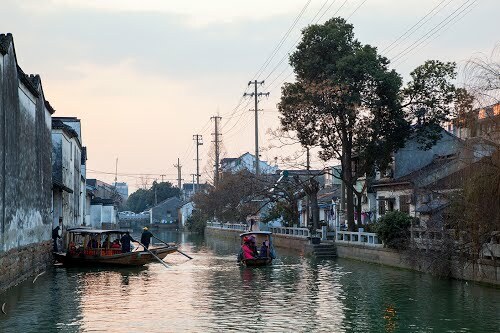 It is accessible directly from the canal by boat. The West garden is composed of several structures grouped around a small grotto and a Library annex. It is structurally joined to the central residence. East Garden is the main garden of the complex. It consists of a grotto and pond ringed by a covered walkway that connects the structures. A smaller fruit orchard annex is attached.